sbengali42 | 4 out of 5 dentists recommend this blog for strong gums and healthy teeth. 4 out of 5 dentists recommend this blog for strong gums and healthy teeth. OREGON – LeBron James made an appearance at Nike Headquarters this Tuesday to unveil his newest shoe. The unveiling was a huge success, with thousands of fans showing up in support of the Cleveland Cavalier just weeks before training camp. 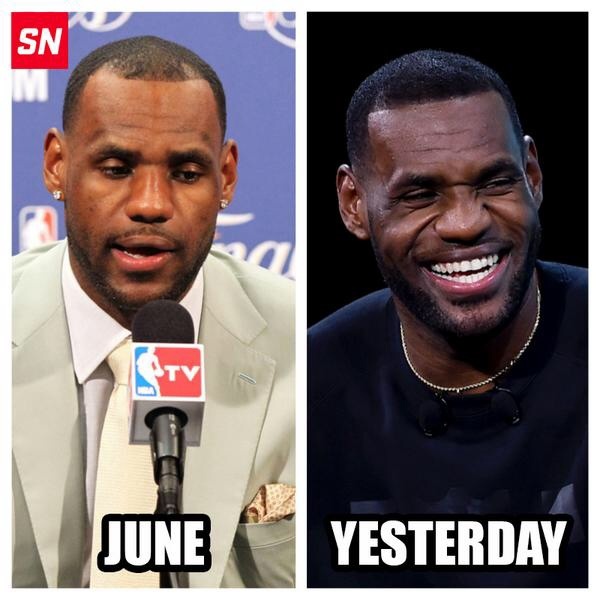 Thousands of people watching the unveiling noticed a slight difference in LeBron’s appearance on Tuesday however. Yes, multiple sources have confirmed that LeBron will be returning to Cavalier training camp with a full head of hair. LeBron’s newly found confidence will definitely improve his performance on the court, almost reassuring another trip to the NBA Finals. The unveiling bears more bad news for LeBron haters who resorted to the receding hair line memes just hours after LeBron won his first ring. Keep an eye out for LeBron’s miraculous three month transformation in the next Rogaine testimonial commercial coming out this winter. I was watching ESPN yesterday morning to catch some NFL highlights. To my surprise (or maybe not), another star football player made headlines for something other than football. TMZ released the full video of Ray Rice, running back for the Baltimore Ravens, knocking his wife out with a Hercules punch and was seen pulling her unconscious body out of the elevator. But don’t worry, news broke out on this incident earlier this year, and Roger Goodell and his team really cracked down on him with a 2 game suspension. To make things tougher for the multi-millionaire, he was charged with aggravated assault and had to sit through a pretrial intervention program to avoid jail time. Definitely crude and unusual. The source insisted the Ravens had requested copies of the video through multiple sources without success. At one point, a police officer who had seen the video described what it contained to Ravens officials. “The video changes the perspective,” or basically, if TMZ hadn’t released the video, Ray Rice could’ve been making millions of dollars. A 30 second video is what fires everyone up rather than the story he told them. “You can’t erase the video,” is probably the line that sticks out to me the most in this excerpt. Now that the incident is on tape, there is no way to ‘sugar-coat’ domestic violence: an NFL running back punched his wife square in the face and knocked her out cold. If the whole thing wasn’t on tape, we’d listen to the story, empathize with the wife for a bit, and continue cheering for Ray Rice on our fantasy teams. In fact, teammates rallied around Ray Rice expressing their support for his situation when they first heard about it a couple of months ago. Fans gave him a standing ovation at practice. The team’s PR director wrote a 1,200-word essay on what a great guy Rice was. Coach John Harbaugh said he was proud of the way Rice had handled it (though not proud of the act). On a side note, how did TMZ break this news before the NFL?! The NFL Investigative team consists of former FBI agents, police chiefs, and other professional detectives with job descriptions made for these situations… and TMZ (celebrity entertainment) got their hands on it (probably with a hefty price tag too). In fact, the only reason this video was released was probably because someone thought they could make a lot of money selling the video to TMZ. Officials at the Atlantic City Casino where the incident occurred said that the NFL did not even contact them for any type of video inside the elevator. Touché NFL. Moral of the story? Take the stairs. How bout them Dolphins though! I went to a medical school interview a couple of months ago and the interviewer asked me something I really wasn’t prepared for. I thought for a long time; I wanted to give a genuine answer, not the typical pre-med complaint of “I got a B in Orgo.” One silent minute passed. Still no answer. The interviewer was looking at me staring off into the distance. Another minute passed. I asked if I could move on to the next question. She was nice enough to continue with the interview, skipping that question. The failure question still in the back of my mind, I noticed the interview was just about over. We exchanged business cards and were already saying our final goodbyes. “Uhhh, well there was this one time… I responded by asking to move on to the next question in an interview.” She laughed it off. According to her, other students had the same problem on this question or came up with boring answers like ‘failing’ grades (otherwise known as a B+ for those she interviewed). It was a nostalgic 20 minute metro ride back to the undergraduate campus while I tried to think of a time when I had failed. 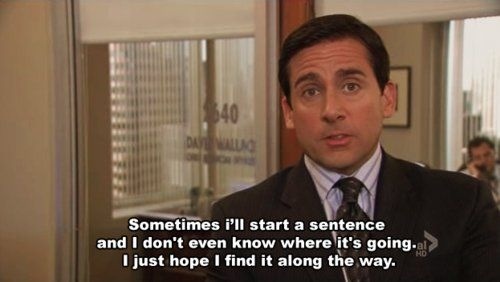 I had made it to the Miami-Dade spelling bee finals in fifth grade and ended up choking on the first word… maybe that counts? Who even cares how you spell “botany”? I recently read an article that discussed the competitive college process. If you cannot be sure of succeeding, then at least you can try to protect a sense of dignity by avoiding failure. I know I’ve had my fair share of these experiences, from not trying out for the varsity basketball team in high school to not trying on my AP Literature exam. I guess it’s time I try and change to a fall down 7 times, stand up 8 D Wade mentality. After all, even Michael Jordan remembers the 26 game-winning shots he was trusted with and missed. After 8 years of college football dominance, the storied SEC has finally given up the title to the ACC. 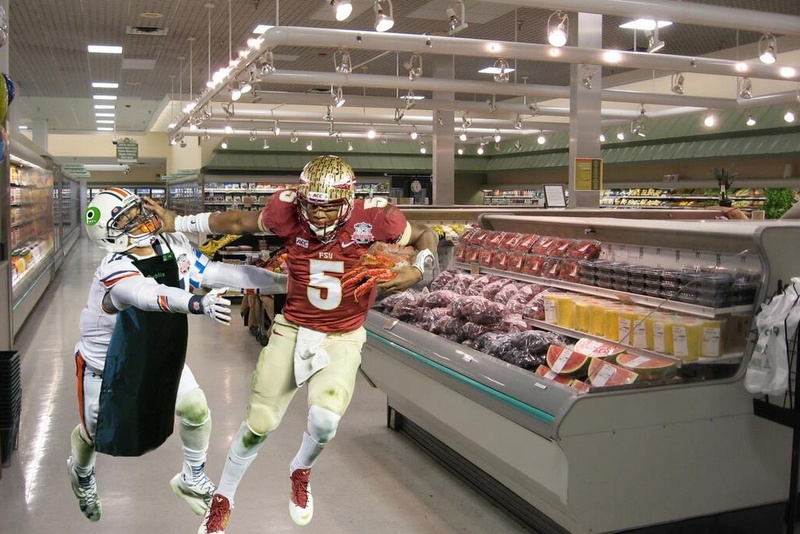 However, last night’s victory for the Florida State Seminoles was a tough pill to swallow for a University of Miami fan. Not quite in the same range as the Flutie miracle pass to top the Canes, but still tough. The frustration of losing 4 of the last 6 games after starting 7-0 or getting demolished by Miami decommit Teddy Bridgewater has made the pill go down slower than usual. With 1:19 left in the game, Heisman Trophy Winner Jameis Winston drove his team down the field and capped off the drive with a sensational throw to another future Sunday player, Kelvin Benjamin. After such an emotional victory, it is easy to understand how Jameis Winston threw out the ordinary, everyday post-game interviews and brought out the Ray Lewis / Ron Artest cue cards. He addressed the “haters” and praised God, a noble message, and yet, thousands of Americans criticized Winston for speaking a ‘foreign’ language on a national stage. I would like to see how a sample of college freshman handled impromptu interviews in the limelight. Sure, he did have his share of grammatical errors, but this should just make society reflect on how we treat our student-athletes and how often we forget “student” is before “athlete” in the phrase. The blame should not be put on Winston nor his family, rather society for throwing millions of dollars at athletes to forego their final years of college. Remedies to this problem? Give some type of compensation for the millions of dollars generated by these spectacular athletes who, as of right now, make absolutely nothing. Maybe give them a portion of jersey sales? Anything to add on to the All-You-Can-Eat meal plan. To end with, I am looking forward to next football season and all the college football playoff hype that everyone is partaking in. Hopefully Canes fans can actually be a part of it rather than denouncing the Florida State namesake. And can I get a Duke Johnson Heisman candidacy? We’ll see.